The change of seasons at this time of the year is very dramatic. Sandals and shorts are replaced by boots and warm trousers, green leaves turn gold and red, and summer concerts pave the way for Halloween and fall harvest events. Even though the summer crowds dwindle in fall, New York doesn’t rest. Check out our recommendations for amazing experiences that can only be enjoyed at this time of the year. What is fall in the Big Apple without nature walks to see the beautiful hues of autumn? Central Park is the best location to see all sorts of trees changing color before shedding their leaves. Some of the most popular spots are the Pond, the Reservoir and the Ramble. For more details, read our Guide to Central Park in the Fall. Snow may not be falling yet, but the Rockefeller Center is ready to welcome winter. Temperatures drop significantly in fall, so ice-skating is a great activity to warm up. Although The Rink is always crowded, you might find less people at this time than during December. The ultimate culinary event of the year takes place every fall: the New York City Food and Wine Festival. What better way to spend your days in New York than by tasting some of the best dishes in the city prepared by renowned chefs? Wines from all over the world will be at your fingertips. Attend events hosted by culinary celebrities and make memories that will last you a lifetime. Interested in going? Check out our post on this year’s festival. No fall festivity is complete without wacky and original Halloween costumes. 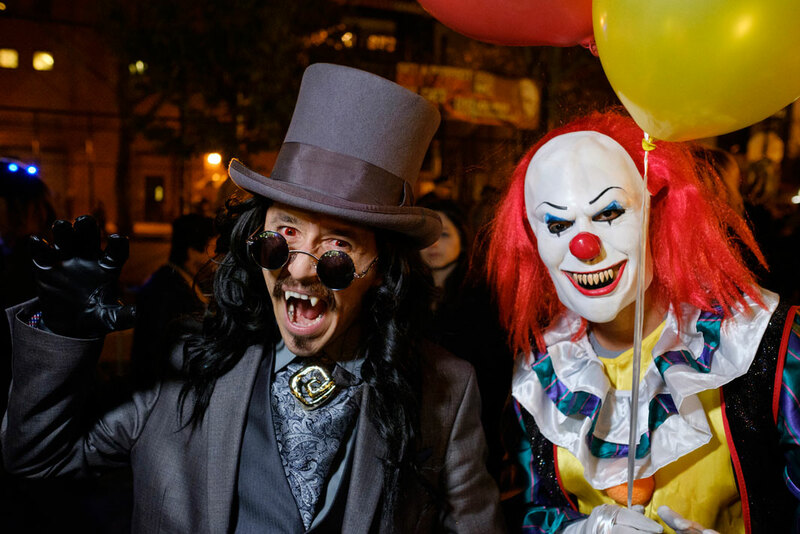 Dress up and head to Greenwich Village to take part in the fun and madness of the Village Halloween Parade. If you would rather not wear a costume, make sure your camera and phone are fully charged – photo opportunities will be too good to miss. Are you ready for your perfect fall vacation? Book your room at the Manhattan at Times Square and enjoy being in the heart of New York City.